What a great idea from Croozer. We all know its important to be safe and visible when out and about with our children in their Croozer trailer. This retrofit handlebar with the bright white (front facing) and red (read facing) lights designed by Busch & Muller can be fitted to all Standard and Plus Kid for 1 models from 2008 to 2015. 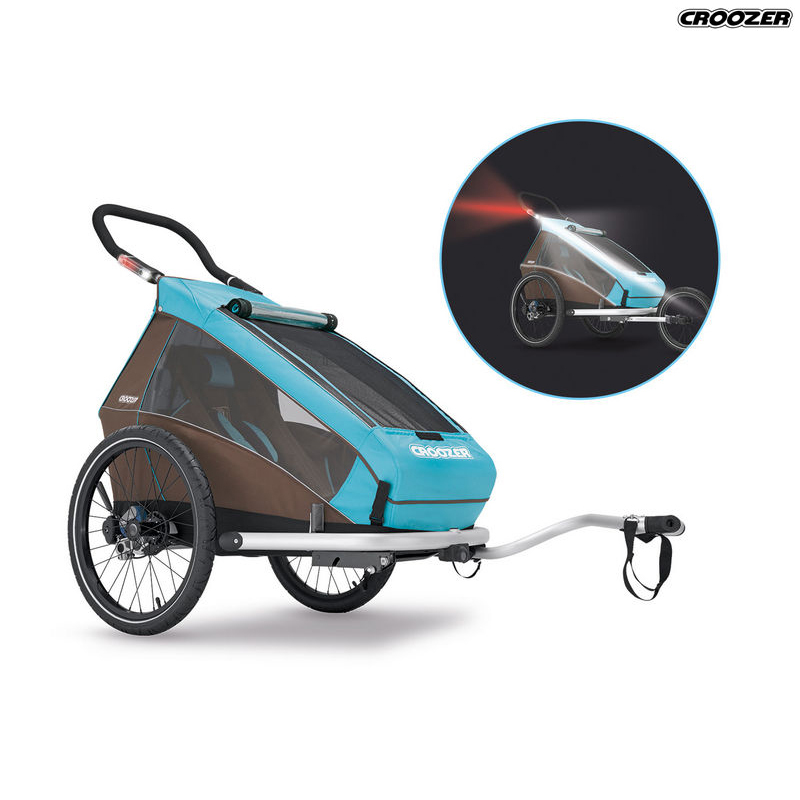 Croozer has worked together with the lighting experts at Busch & Muller to develop battery powered lights which are integrated into the handlebar of the trailer. The lights utilise the well established Busch & Muller Senso technology. This means that the lights recognise motion and darkness combined and will switch on automatically as soon as the Croozer starts to move, and when the lights fade. This could be at the end of the day or when travelling under a tunnel or under trees during an overcast day. The strong battery has to be recharged after a runtime of up to 15 hours. The battery level and the charge status can be checked at the touch of a button. With the Croozer handlebar light being on the move with the bike trailer has become even safer. From 2016, the Croozer Kid Plus with suspension will include the Busch & Muller lighting system as standard. For all other Croozer models, the lights will be available as an accessory or retrofittable as an entire handlebar with lights.